It’s breakfast, lunch and definitely dinner. 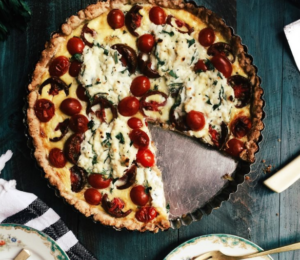 Joy made this Tomato Pie in a tart shell. If you’re using a traditional pie dish add an additional egg and an additional 3 tablespoons of whole milk.